It’s OFFICIAL! 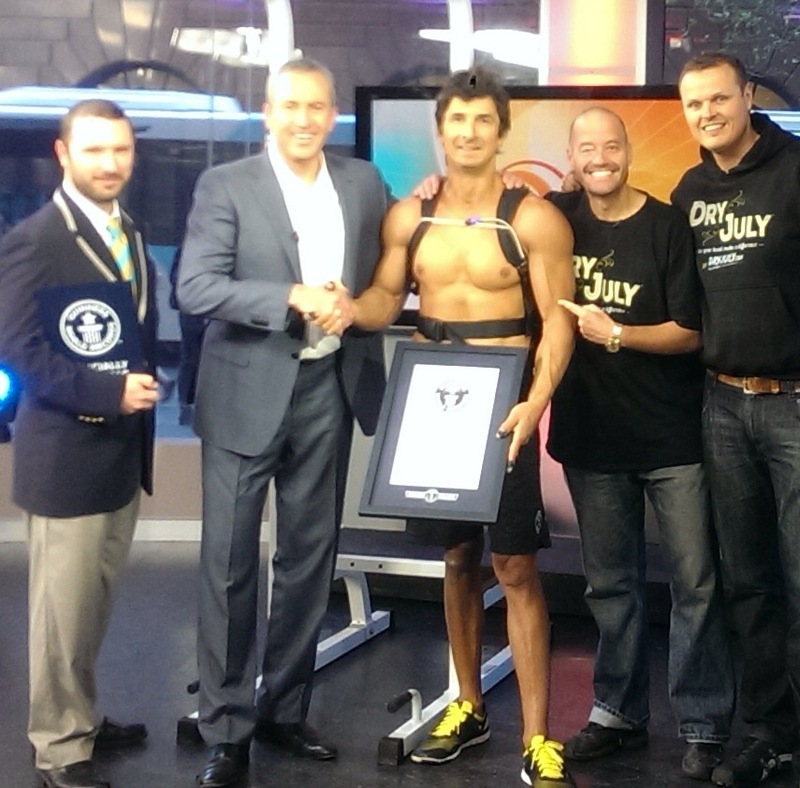 Marcus Bondi broke the Official Guinness World Record for chin up with 18kg added weight within 60 seconds in the Sunrise 7 National TV studio in Sydney on Wednesday 25th June! Please stay tuned for Marcus’ training and nutrition program leading up to this awesome feat! Love the videos, I been climbing rope arms only for 15 years I pretty much have stayed the same ,gained a little. I have a rope tied at 25 foot and can climb it up and down two times and sometimes two and a half. That’s starting out standing up, I have a rope tied inside a silo at 64 foot and can’t seem to make it the rope wiggles and swayes I get about 10 foot from top. Anyway I was just wondering how often do I need to climb on the rope, how often do pull ups how often work back out ?